Been chasing fallow for the last week. Plenty of bucks about and they are just starting to ramp up now. Every day we are seeing new animals. 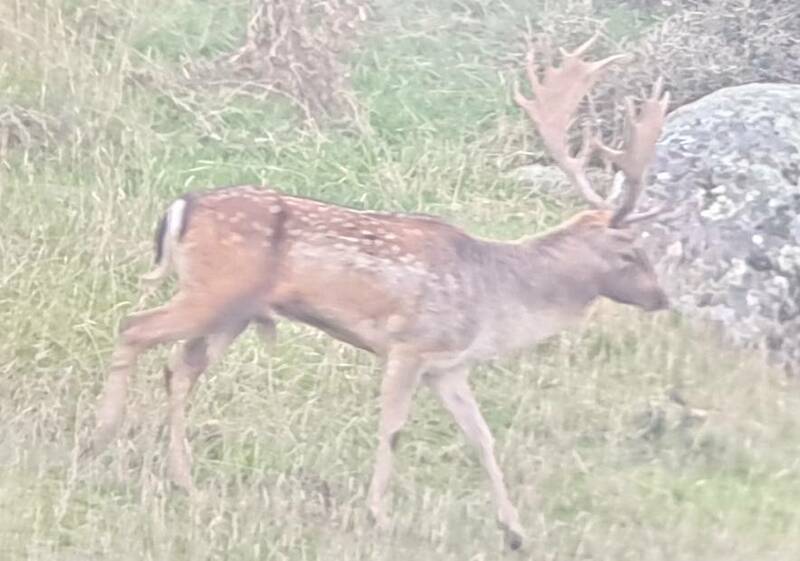 Couple shots thru the spotter of average animals that need a bit more age on them and one thru the phone of a wee yearling that got a fright when it almost stood on me while glassing from tonight. We have a good buck down and trying to get another couple by the end of next week. Steve338, muzr257, Shootm and 26 others like this. Wow they are pretty nice looking bucks, good luck hope you get a few more. Pick of the good one. That’s an absolute ripper of a buck. Was that the one that scored 271DS? Yes. Unofficial at the moment but always within a point or 2 of official NZDA measured scores. It will still be easy top 10 in NZ for a wild Fallow. Not sure if the fella that shot it will enter it in anything but hoping he does. Shootm and Sideshow like this. Beautiful buck. I didn’t realise there were fallow on the coast? We are not hunting on the west coast. However there are a few patches of them on the coast. Some of them get hammered by 1080 from what my cousin tells me. How do you tell what is a good buck that needs a few years. Is it an educated guess or certain traits in the antlers that mark it out as not a cull. Sideshow and dannyb like this. They're like anything else if they have all the right stuff when young you leave them and hope they survive long enough to get some age on them. It is a risk but can be worth it. The first one pictured is probably as good as he will ever get the other 2 appear younger. Spend enough time looking at them and you also get good at assessing them on the Hoof. Fallow will generally be in their prime between 5-7 years of age. Last edited by R93; 15-04-2019 at 06:28 AM. chainsaw, Sideshow and Russian 22. like this. Bloody he'll what a thumper of a stag well done. That trophy is really heavy beamed for a wildy. Blue Mountains or Queenstown ? ?